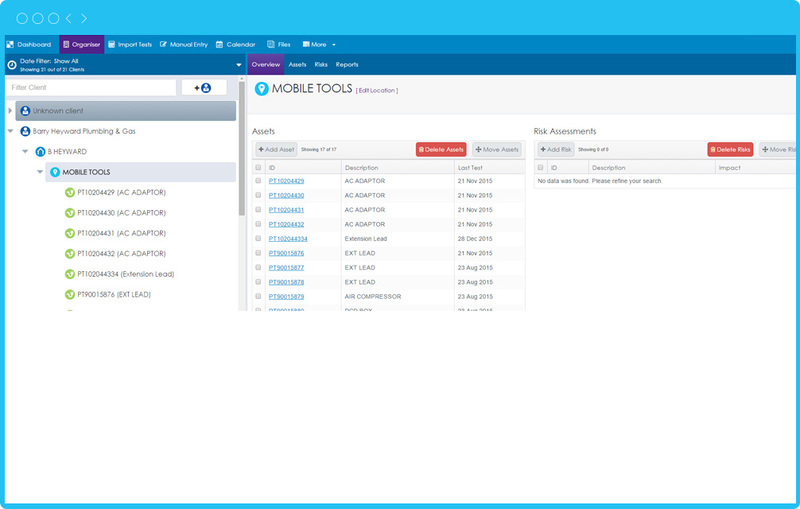 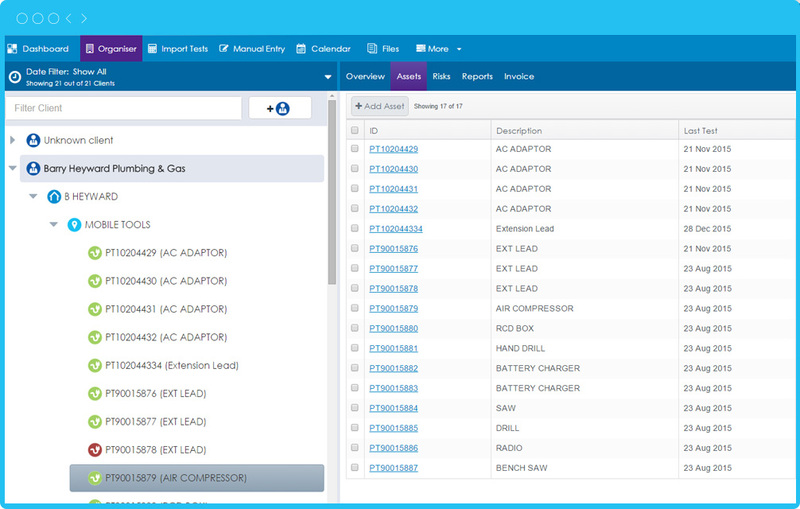 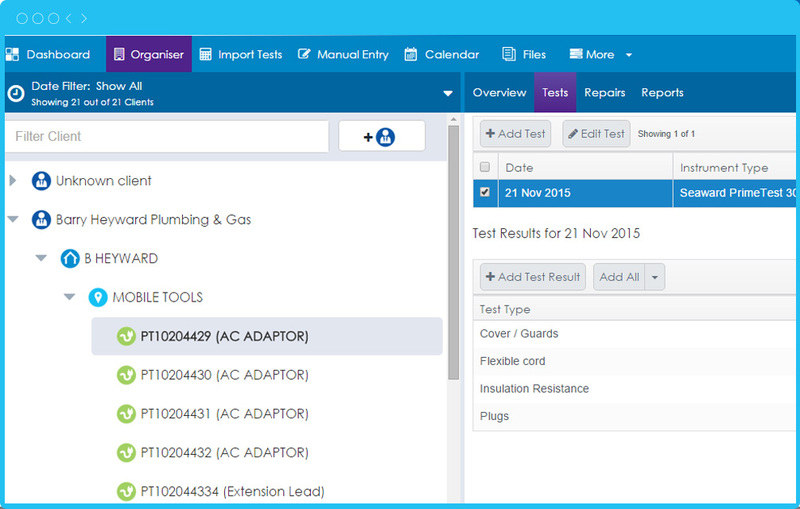 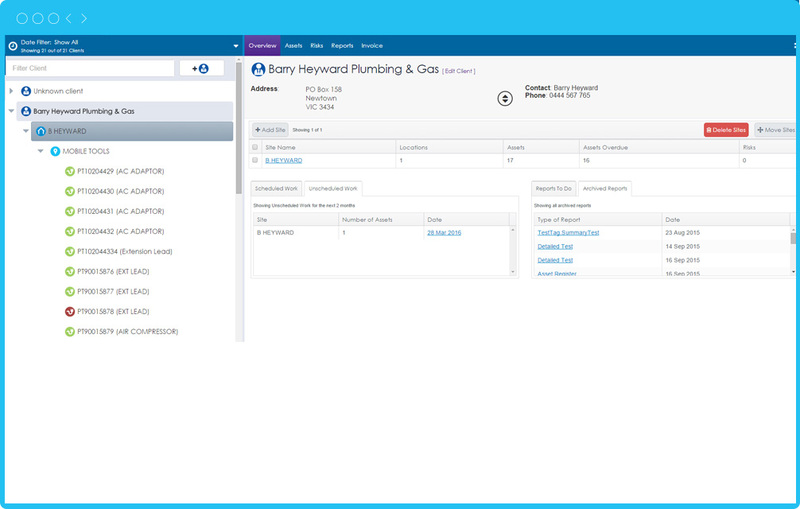 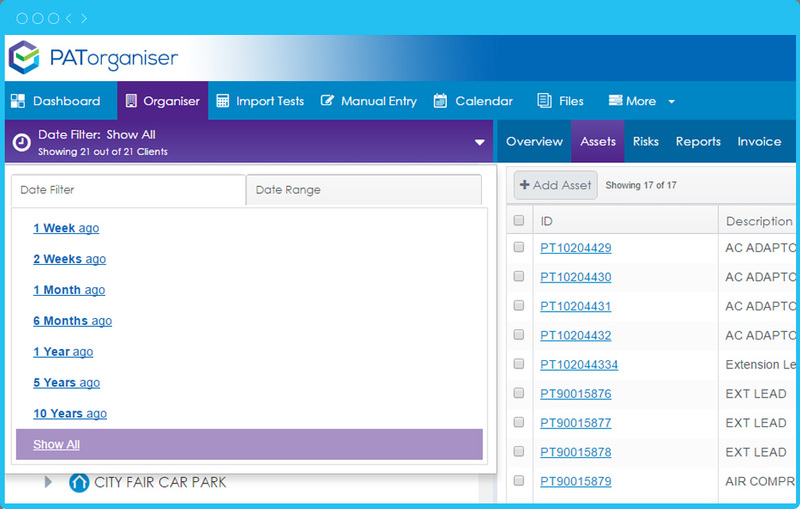 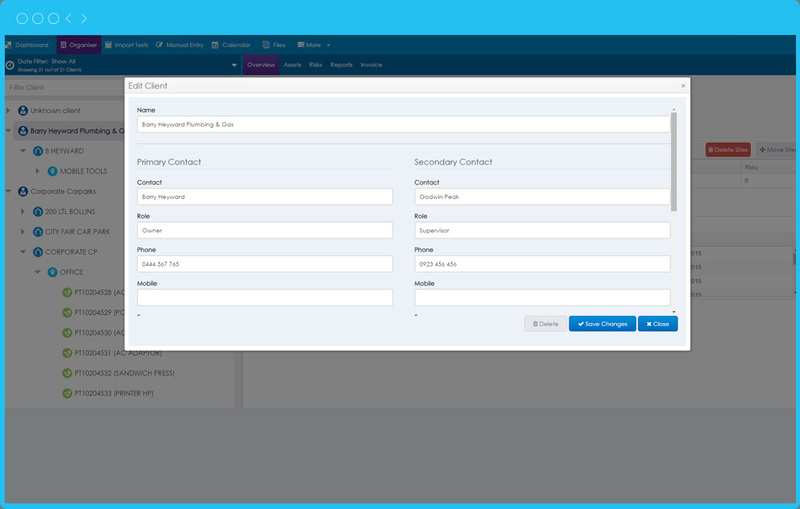 Organise your assets and test data easily and efficiently with PATorganiser, sort and edit all of your important test data by Client, Site, Location and Asset test level and view in our hierarchical tree. 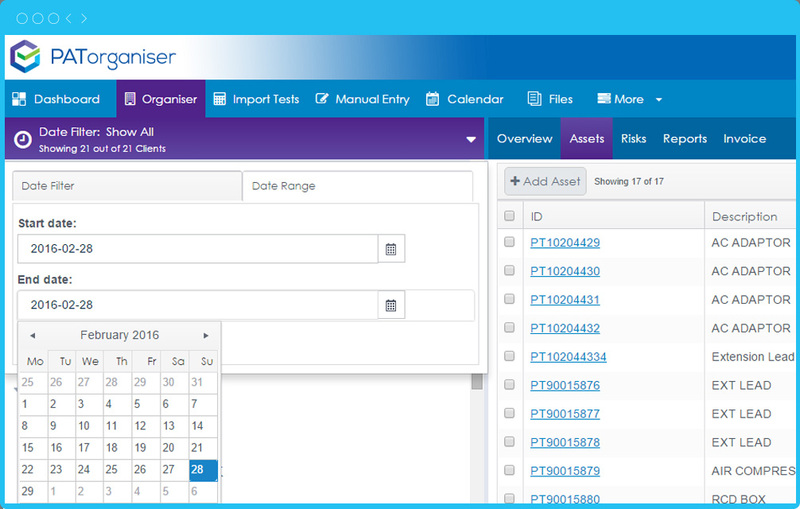 View and edit only the clients and sites you wish to view by using our unique date filter, PATorganiser allows you to filter your assets by, 1 Week, 2 Weeks, 1 Month, 6 Months, 1 Year, 5 Years, 10 Years, Show all and custom date range, giving you complete control over what you want to see and work on. 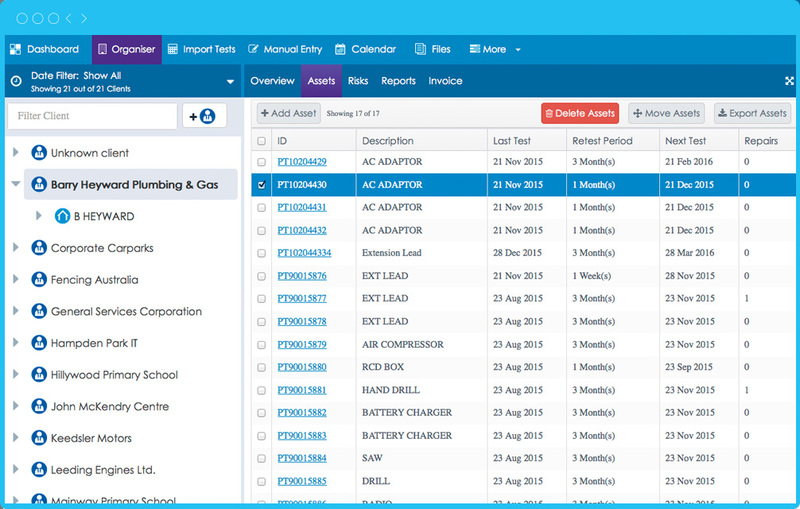 Patorganiser gives you the option of quickly but comprehensively adding as much or as little detail and information to your Clients, Sites, Locations, Assets and Tests, never forgetting that your important data is professionally backed up and securely stored for you. 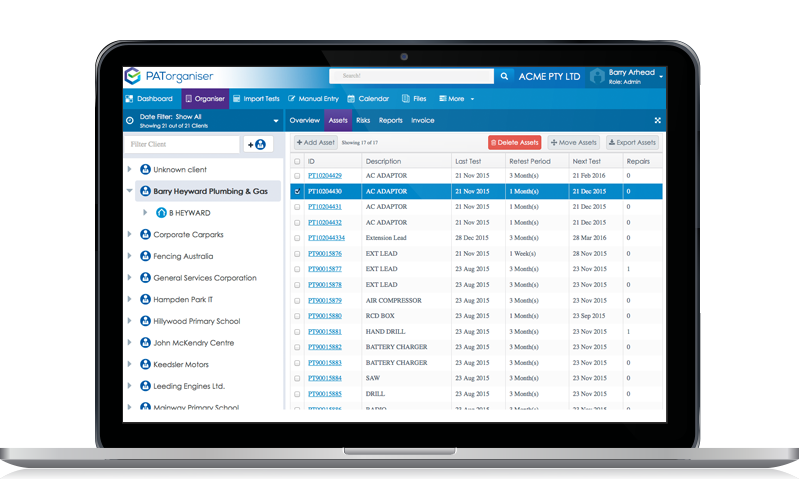 Our Organiser gives you an all important overview of your Client information, detailing Client contact details and address, Site, Location and Asset details, Scheduled and Unscheduled work , outstanding reports and archived reports, add images and test data, move sites and locations, the list is endless to this extremely comprehensive but very easy to use tool.